Gift a uniquely shaped pyramid lamp to your loved one, which will have his/her photos on 4 sides of it. 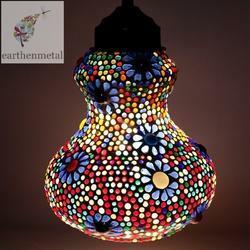 Sleep with this beautiful night lamp along side radiating your cherished memories. Dimensions: 7" w x 5" h.
Ensuring to deliver a longer and efficient serving life whilst installed at our premises, we are engaged in offering with an impeccable assortment of Designer Lamp . We offer the top range of Designer Jute Lamp for our valued patrons. These products are used in numerous purposes in the market. We offeredLamps to our client. We are the leading manufacturer of Dual markup lamps.